In a previous blog post, I introduced the concept of environmental justice (EJ), which refers to the fair treatment of people regardless of race or class with respect to the development, implementation, and enforcement of environmental laws, regulations, and policies. I’ve also previously written about climate change here and about some efforts to address it here. Now my point here that climate change is an EJ issue, especially because anthropogenic greenhouse gas emissions (GHGs) have been primarily produced by people in wealthier countries, while people in poorer countries and regions will likely bear the brunt of the effects of climate change, including rising sea levels, drought, and access to food staples. The new report from the Intergovernmental Panel on Climate Change (IPCC) was just released a week ago, soon before Earth Day. (You can read news coverage of the report in the Guardian, NY Times, and Atlantic.) The IPCC report was produced by 1,250 international experts and approved by 194 governments, and it is the last of three reports to assess climate research conducted since 2007. The authors argue that only an intensive push in the immediate future can limit climate change to less than catastrophic levels, but lowering costs of alternative energies have made transitioning on a mass scale practical and affordable. Avoiding (the worst of) climate change will be less costly than attempting to adapt to it later with unpredictable geoengineering technologies. The report also discusses “co-benefits“: for example, efforts to reducing air pollution (including GHGs) would improve public health and save millions of lives, balancing the cost of reducing the emissions. The report states that putting a price on GHG emissions, such as through carbon taxes or emission permits (which I’ll write about in a later post), would help to redirect investment toward more climate-friendly technologies and away from fossil fuels. It’s also interesting to see what was not included in the IPCC report. For example, rich countries (including the US) pushed to remove a proposed section that called for hundreds of billions of dollars of aid per year to be paid to developing countries. The report does refer to “issues of equity, justice, and fairness [that] arise with respect to mitigation and adaptation,” but these are issues that should be further discussed and addressed. For example, we are already seeing extreme climate events, including heat waves, floods, wildfires, and droughts, and poor countries and small island nations are particularly vulnerable to storm surges, coastal flooding, and rising sea levels. In order to mitigate climate change, the report views favorably the cutting energy waste and improving efficiency and the shift toward renewable energies, especially the zero-emission sources like wind and solar, whose costs are dropping and becoming competitive. Wealthier countries can lead these efforts, and they could fund low-carbon growth in poorer countries, which are unfortunately expanding the use of coal-fired power plants. Archbishop Desmond Tutu has even advocated for an anti-apartheid style campaign against ­fossil fuel companies to respond to the “injustice of climate change.” On that note, I’ve noticed that the term “climate justice” has become increasingly common. Many vulnerabilities to climate change are visible in the US as well (see this UCS blog), and much more can be done to work toward climate change mitigation and adaptation. In addition, unfortunately, climate change has not yet been connected to EJ in US policy, in spite of the Executive Order signed by Pres. Bill Clinton twenty years ago, which instructed all federal agencies to consider impacts on people of color, the elderly, and those of low-income when crafting new policies and rules. (See this post by post by Robert Bullard, one of the leaders of the EJ movement.) The Environmental Protection Agency’s new Plan EJ 2014 briefly mentions climate change, and at least this is a start. In order to mobilize people, governments, and institutions to active address climate change, we should discuss how climate change issues are framed. A week ago, I attended an interesting political science talk by Sarah Anderson, professor of environmental politics at UC Santa Barbara. (By the way, I have to admit that the political scientists at UCSD have more comfy chairs than us astrophysicists. We’ll have to work on that!) She mentioned the “moral foundations theory” (proposed by Jonathan Haidt; and Lakoff & Wehling): political liberals construct their moral systems primarily upon two psychological foundations (fairness/justice and harm/care), while conservatives’ moral systems are also based on others (including ingroup/loyalty, authority/respect, purity/degradation). So if the goal is to address climate change–which may be one of the greatest environmental and socioeconomic problems of our generation–then we should try to appeal to everyone, not just those identified as liberals or leftists. To do so, maybe we need to use additional frames, such as by emphasizing the importance of avoiding environmental degradation and the potential economic benefits of mitigating climate change. Finally, political scientists often focus on the workings of the state and on policies and regulations, but there are many important actors outside the state, especially among social movements and civil society. Fortunately, organized opposition to the Keystone pipelines and fracking, for example, have made these climate change issues more pressing for policy-makers. Harvard poli sci professor Theda Skocpol (quoted in a New Yorker article) criticizes the tactic of mobilizing support exclusively through the media; instead, she argues, “reformers will have to build organizational networks across the country, and they will need to orchestrate sustained political efforts that stretch far beyond friendly Congressional offices, comfy board rooms, and posh retreats.” Perhaps what the environmental movement need are more “federated structures,” which have national leaders to interact with political officials in the White House and Congress as well as local chapters which regularly meet (and organize rallies or teach-ins) to develop their larger goals. Now that we’ve talked about how climate change is happening and carbon emissions are increasing rapidly (in the previous post), let’s discuss what’s being done and what can be done to address this global ecological crisis. I hope this isn’t too heavy for pre-holiday fare. In September, the Intergovernmental Panel on Climate Change (IPCC, an international organization of climate scientists) released an important report. They argued that climate change is “unequivocal” and that the “dominant cause” has been human actions in pouring greenhouse gases into the atmosphere. Moreover, even if the world begins to moderate greenhouse gas emissions, warming is likely to cross the critical threshold of 2°C by the end of this century, which would have serious consequences including sea level rises, arctic ice melts, heatwaves, major changes to rainfall, and extreme weather events. If crucial steps aren’t taken, “tipping points” and thresholds will soon be reached and climatic changes will be irreversible. It is also important to note that the most vulnerable and poorest peoples–who are not responsible for the crisis–are the most likely to be affected by climate change. Numerous islands and coastal regions are already being threatened. Developing nations are unable to cope with extreme weather (such as the recent typhoon in the Philippines), droughts, and water and food shortages. Climate change is an environmental justice issue, though ultimately it will affect us all and our future generations. 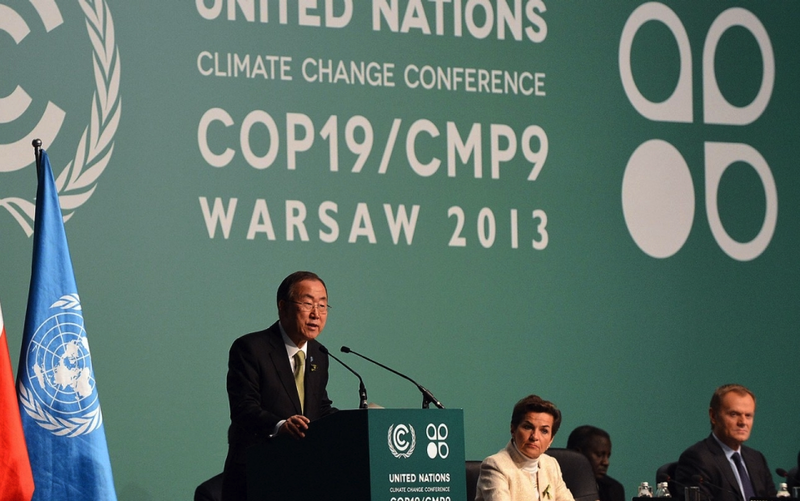 A month ago, an important climate summit, the 19th “Conference of the Parties” meeting of the UN Framework Convention on Climate Change (COP 19), occurred in Warsaw. International representatives from nearly 200 countries discussed these issues and attempted to continue to negotiate for a new global climate accord by 2015. In addition, developing nations were seeking compensation for the “loss and damage” that they will almost certainly face, while rich countries (which produce most of the carbon emissions) were avoiding taking blame, making commitments, or allowing any statements in UN climate documents that could be used against them in the future. It became so bad that over 800 members of environmental groups and NGOs (including Friends of the Earth, Greenpeace, WWF, Oxfam, the International Trade Union Confederation, 350.org, and the Pan African Climate Justice Alliance) staged an unprecedented walkout of the talks. In the end, very little was achieved, though a deforestation agreement was made and plans were made for the following meeting next year in Peru. How does the US fit in all this? Unfortunately, the US is among the countries avoiding making serious commitments to address climate change and rising carbon missions. President Obama finally laid out a climate action plan earlier this year, nearly 25 years after NASA climate scientist Jim Hansen testified before Congress about evidence for global warming. The plan includes a number of sound policy measures and plans to reduce greenhouse gas emissions 17% below 2005 levels by 2020, especially with new EPA standards for power plants. This is a good start, but even with this, we’ll still likely reach 3°C warming. Far deeper reductions are needed (such as with a carbon “fee-and-dividend” system, which we can discuss later). Furthermore, environmental justice must be a part of the plan (see this Union of Concerned Scientists blog post), since the burden of the impacts of climate change fall disproportionately on low-income communities and communities of color. I’d like to say a bit about climate change. It’s an issue that I’m passionate about, as it’s one of the most important global crises facing us today, and there will be plenty more to write about in later posts. 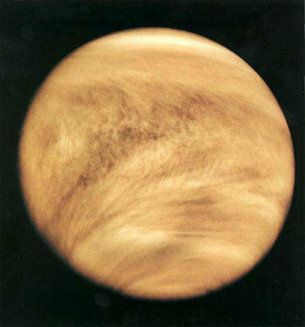 As a possible future for our own planet, it’s useful to think of Venus. Although there are no Venusians to ask about it, we can infer what happened to Venus based on observations of its surface and atmosphere. Venus and Earth likely had similar early atmospheric compositions, but on Earth the carbon is mostly in the crust. In Venus’s case, its atmosphere is mostly CO2, and it appears to have suffered a “runaway” greenhouse gas effect. Venus’s surface temperature of nearly 500° C is due to its atmosphere’s depth and CO2 content. In order to reach Venus-like conditions on Earth, massive amounts of CO2 would need to accumulate and would need to get rid of its oceans via escape of hydrogen to space, which would take at least hundreds of millions of years. Nonetheless, it only takes much smaller amounts of CO2 emissions and much less time to change the biosphere and harm human and other life on earth. It is already happening. And because the climate responds slowly, so far we’ve only felt about half of the effect of the greenhouse gases that are already in the air. According to the Scripps Institution of Oceanography (which is a few blocks from here at UCSD), the daily mean concentration of CO2 in the atmosphere surpassed 400 parts per million (ppm) in May this year. 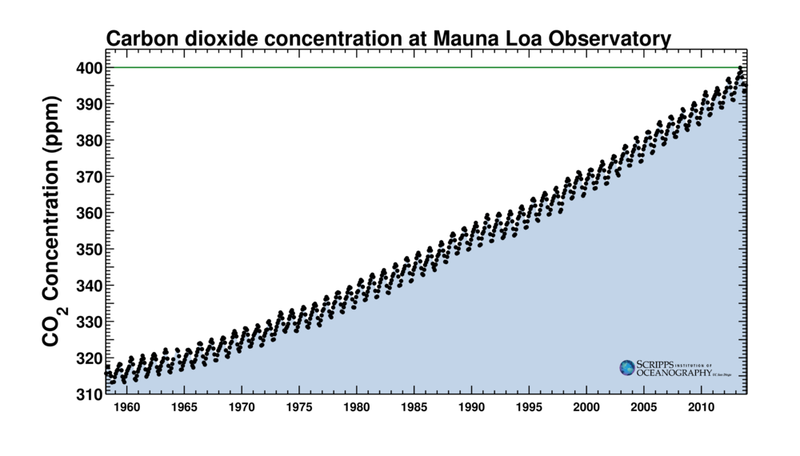 The Keeling curve below documents the dramatic rise of this potent greenhouse gas over the last half century. More CO2 in the atmosphere means that more of it is absorbing and trapping the infrared radiation of sunlight near the Earth’s surface, gradually raising the temperature. There are many effects and evidence of climate change, but one key one is that surface temperatures on Earth are increasing. Last year was the hottest year on record and this year is the seventh hottest. According to climate scientists, 350 ppm should be our goal in order to prevent runaway climate change, but it will require concerted international efforts to substantially reduce carbon emissions to safe levels. A global problem requires global solutions. But what can be done and is being done about climate change (including at the UN and by US policies) will be the subject of “part 2”. Finally, for those of you who’d like more eloquent writing about these issues, check out this essay from Carl Sagan’s Cosmos.